This course is essential for anybody working in a safety related role, particularly managers or safety representatives. The NEBOSH (National Examination Board in Occupational Safety and Health) National General Certificate in Occupational Health and Safety is essential for anybody working in a safety related role; such as managers or safety representatives. The National General Certificate is the most widely held health and safety qualification in the UK with over 175,000 people having gained the award since it was launched in 1989. 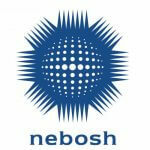 The NEBOSH Certificate is widely respected by employers and meets the requirements for Technician Membership of IOSH (Tech IOSH) and Associate Membership of IIRSM (AIIRSM). We provide the highest quality of training with tutors who have a wealth of experience and expertise within the field of Health and Safety. Our tutors guide delegates through the process and prepare them for the assessments and examinations in order to gain their certificate. All Students will receive our high quality text books which have been designed to support students throughout their studies, as well as providing a useful guide for practitioners and those with HSE responsibilities at work. This course is delivered over 10 days. On completion of training, examinations will be held on 2 additional dates. We are delivering a NEBOSH general certificate course in our Venue, starting on the 25th July 2016. The cost of this course includes all associated costs, i.e. manuals, registration/exam fees and training manuals.